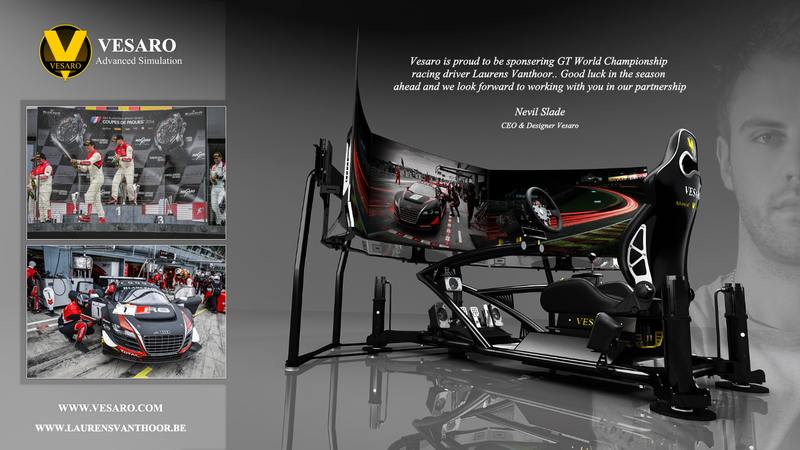 We are proud to be at the cutting edge of technology once again with the another worlds first. 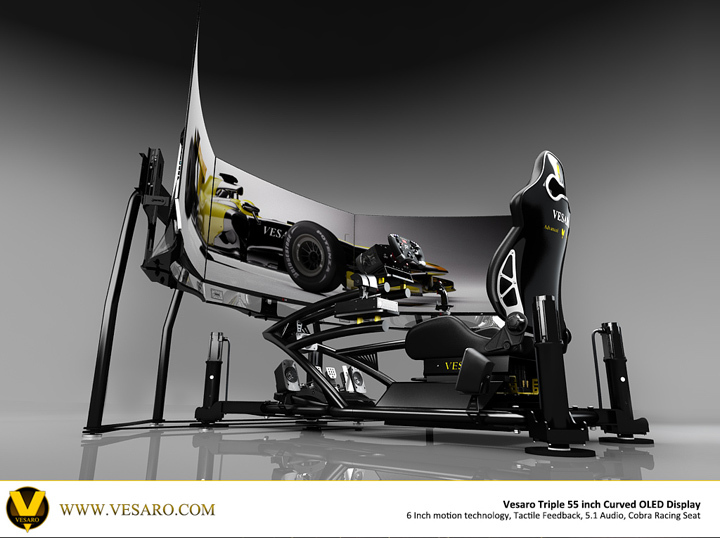 In the form of a new Special Edition setup, the "Vesaro I Evolve Special Edition Extreme" we have created a triple formation of the stunning LG 55 inch Curved OLED display offering 165 inches of curved display. 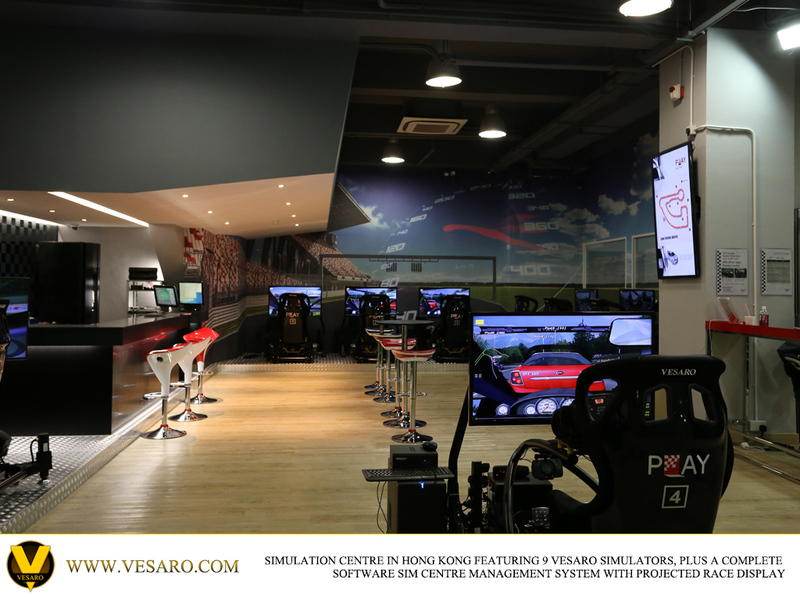 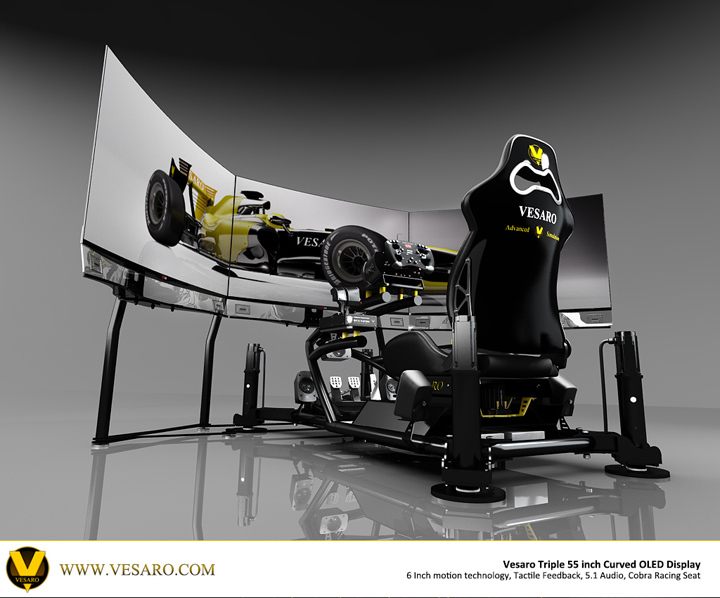 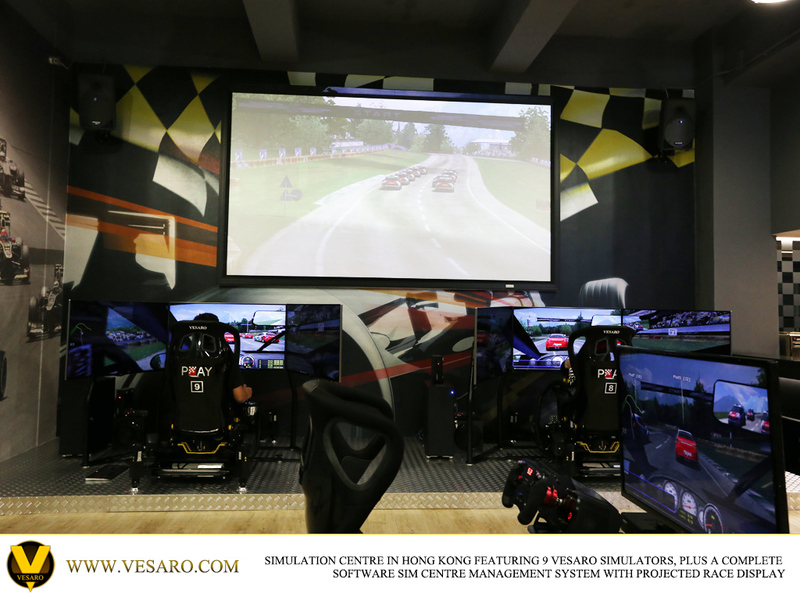 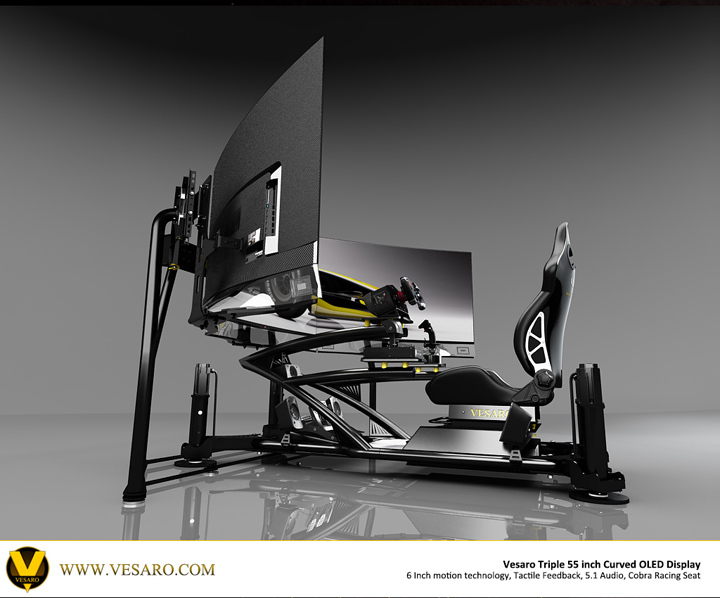 Partnering with LG to bring this groundbreaking product to market we have created The displays float above the Vesaro simulator wrapping around the seating position giving a level of immersion just not possible with three flat screens. 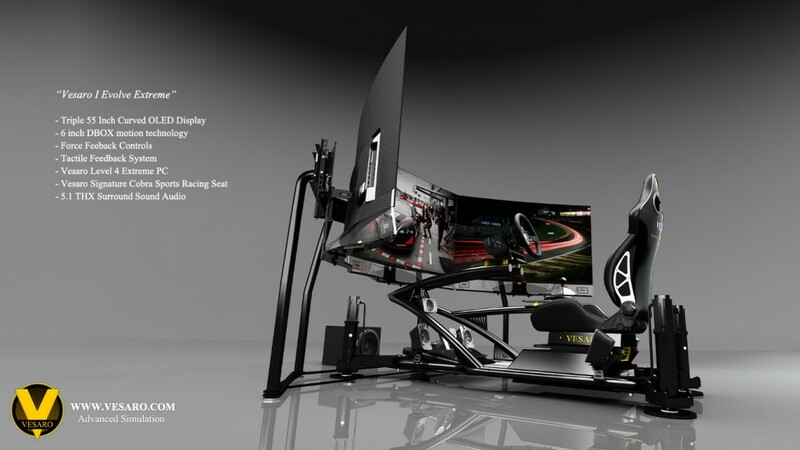 Although alternative methods such as triple projectors onto a curved screen offer a greater curve in the screen, nothing can compare to the practicality of using an LED or OLED style display, a single remote key press to instantly switch the three screens on or off and no issues with lighting conditions that can be found with projection style setups. 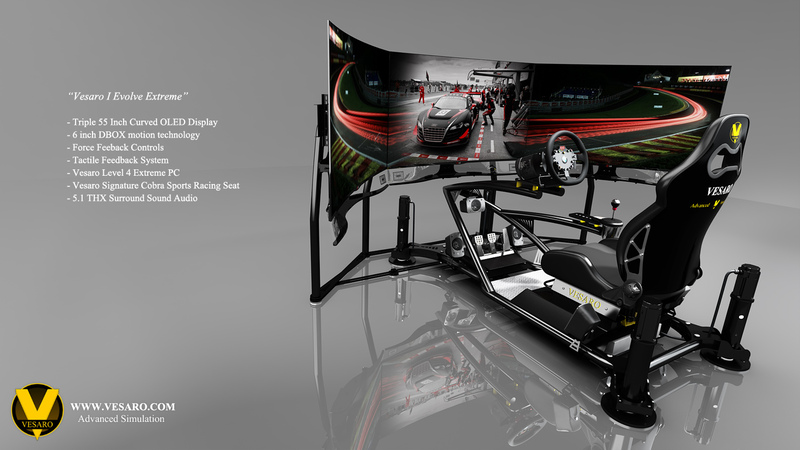 In addition the deep rich blacks that OLED technology offers makes the visuals of the simulation that much more immersive, it really has to be seen and experienced to be believed and we hope to be showcasing this technology at future events. 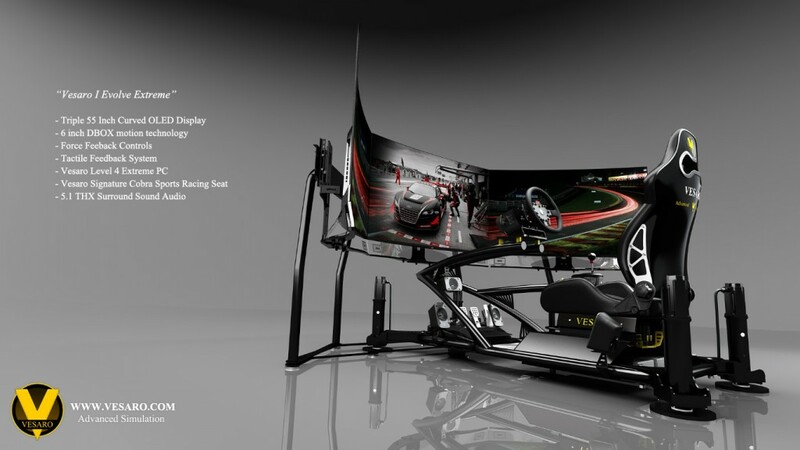 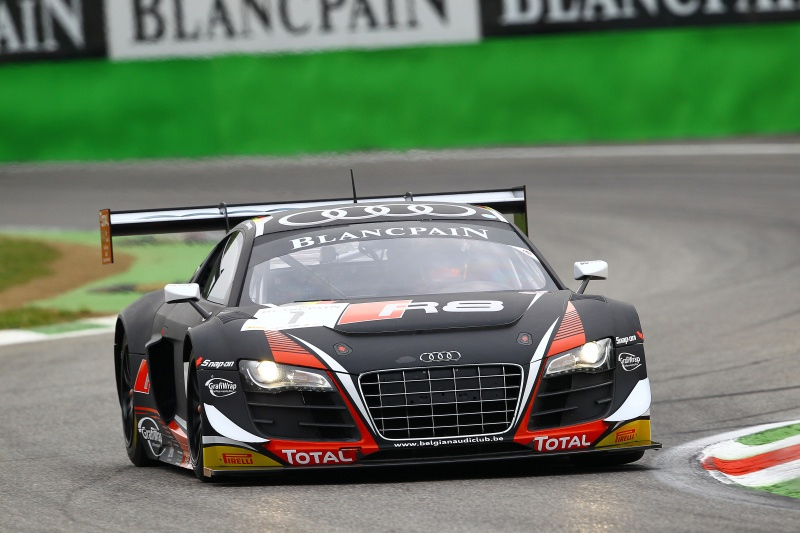 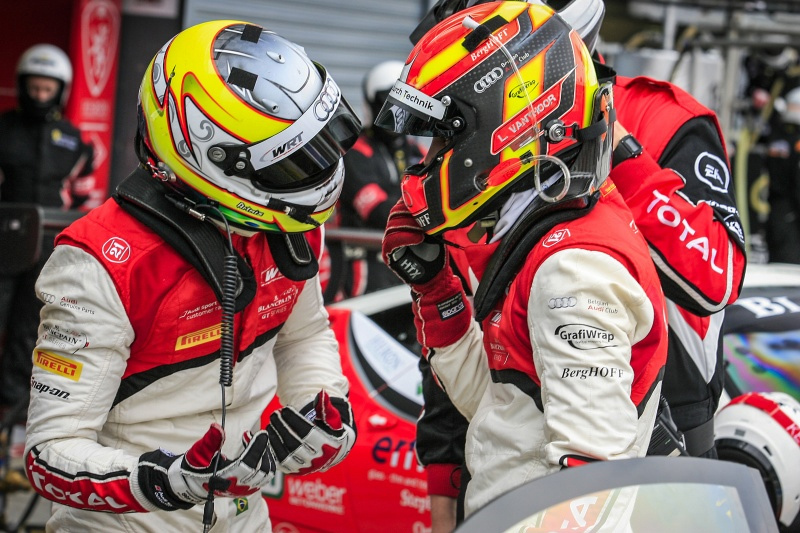 The displays feature a stunning carbon fiber back making them as stunning to look at from the rear as from the front, with a 4mm thick screen this is cutting edge screen technology taken to the extreme. 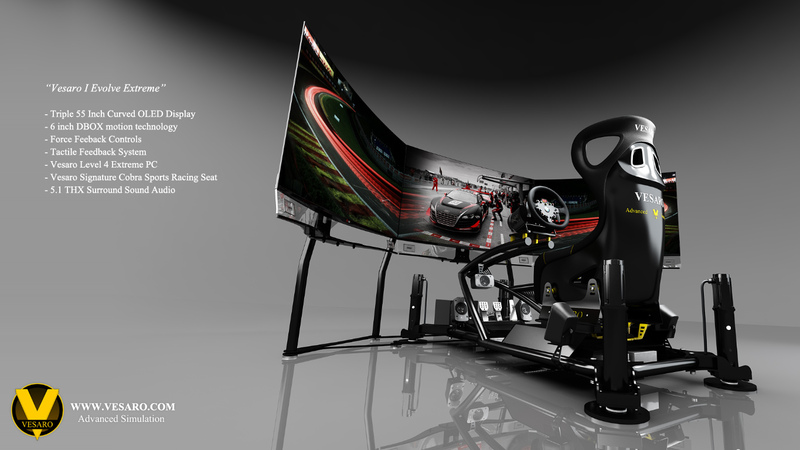 Combining three of these stunning displays creates the ultimate visual solution for your Sim Racing, Flight Sim or First person shooter games. 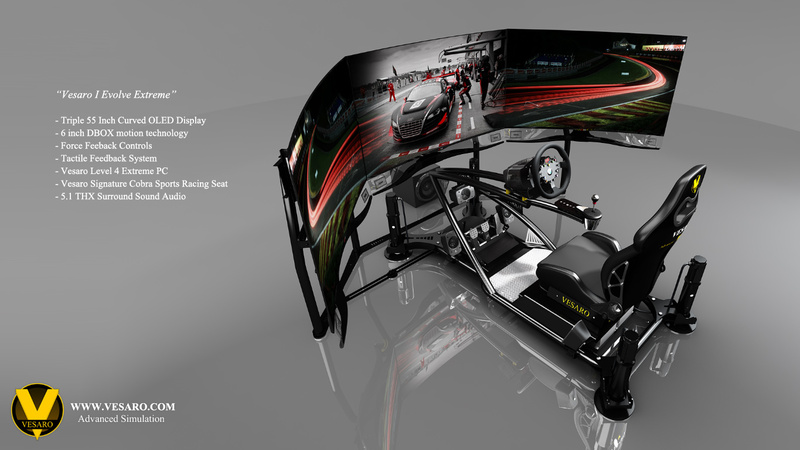 We have created two packages, a Single 55 Curved OLED package and a Triple 55 Curved OLED package, to be found in the Evolve Special Edition setups or configured as part of our Core range and Commercial range of simulators.